The myth continues. Although this is a largely positive video comment from Ian Holloway, the press still insist that the problems he had at Villa were because of his Birmingham City connections. Apart from for the minority, this just isn’t true. I agree with this tweet, I think he was well received, it is just that fans did grow tired this season when we were seeing the same old, same old and Dean Smith, with the same players, has proved a lot of us right. We SHOULD have been playing far better, we SHOULD have been playing on the front foot (a term I used a thousand times) and there shouldn’t be a team in this league for us to be afraid of. Steve, much like so many of the wrongly chosen managers before him, spent too much time telling the team how to contain the opposition, Dean Smith is telling our players how to give the opposition problems and look what is happening. We ARE giving the other teams problems and lots of them. Villa, now we are playing on the .. well, you know which foot .. are on the rampage and not only that, us fans are being entertained. Spot on… never heard a Villa fan mention his Blues connection when things were going poorly. Hate it when this is trotted out. So please, pundits, press and anyone else who really doesn’t get it, listen to us. Most of us didn’t view Steve Bruce as a bluenose, he was/is a jobbing manager and he came to us with a hell of a lot of pride. He told a few of us in a meeting how happy he was to finally be at a big club, it is what he had been working towards management wise. Sadly it didn’t work out, but that is down to the style of football and results, not who he managed before. 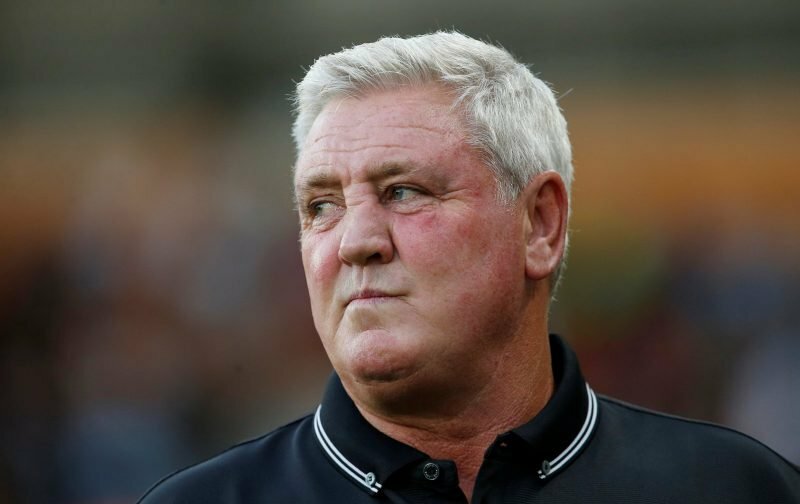 Steve Bruce forum thread (stronger language in the forum): Click here..
Dean Smith forum thread: Click Here.. This isn’t a rant at Holloway either by the way, he waxes lyrical about how we are now playing as does Colin. Holloway says Smith deserves this, I concur.